After using my points to stay at a few historic hotels, I started wondering how many other unique properties participate in one of the major loyalty programs. It turns out, there are quite a few! Today, I’ll continue my series on historic hotels that are part of major loyalty programs by taking a look at European Starwood properties. As for what I’ll consider as “historic,” it would be easy to classify nearly any hotel in this category if a movie was shot there, or if it was the scene of any important event. To narrow things down, I’ll define a hotel as “historic” if it has unique architecture that dates back to before the Second World War or if it occupies a historic building that was not originally designed to be a hotel. Starwood Preferred Guest is the program for Westin, Sheraton and other boutique brands. You can earn Starpoints with the Starwood Preferred Guest Credit Card from American Express and the Starwood Preferred Guest Business Credit Card from American Express, both of which are currently offering sign-up bonuses of up to 35,000 points. 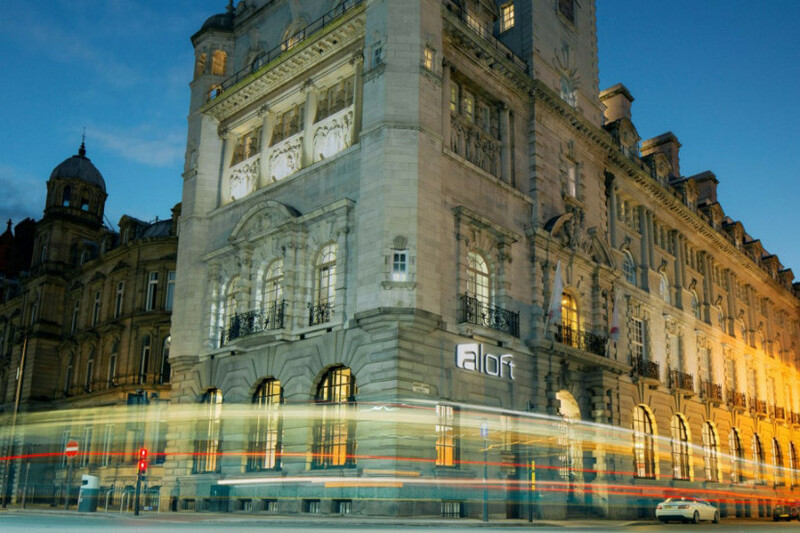 The Aloft Liverpool occupies the former Royal Insurance Building. Image courtesy of Starwood. Before it was revamped into the design-savvy Aloft in 2014, this structure served as the splendid Royal Insurance Building. The building’s copper-plated dome is visible from many parts of the city. Ornate furniture in the Convento do Espinheiro lobby. Image courtesy of Starwood. 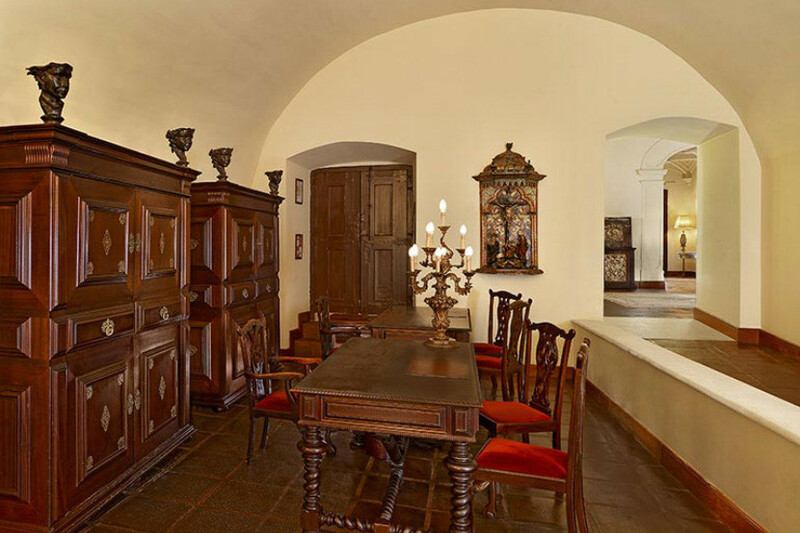 A former convent built in the 15th century, the Convento do Espinheiro is a Luxury Collection property known for its highly acclaimed butler service. It was formerly the residence of Portuguese kings and has been designated as a UNESCO World Heritage Site. The Hotel Imperial in Vienna, Austria. Image courtesy of Starwood. The majestic building of the Hotel Imperial was originally created in 1863 as the Prince of Württemberg’s Viennese residence and was transformed into a hotel to accommodate visitors of the 1873 World’s Fair. The property reflects its royal history with marble, hand-carved statues and crystal chandeliers. 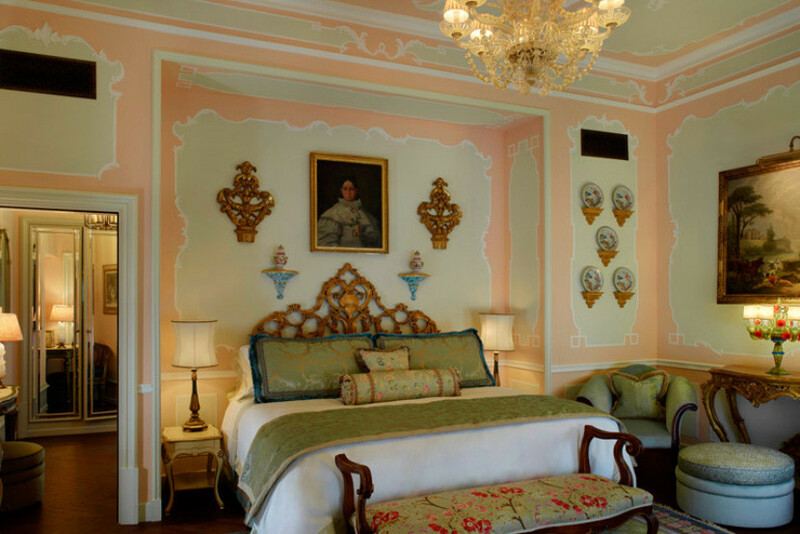 The Pisani Palazzo Canal Suite at the Gritti Palace. Image courtesy of Starwood. Utilized as a private residence for noble families throughout the ages, the palace was converted into a luxury hotel in 1895. The interior design of signature suites is inspired by renowned personalities — such as Ernest Hemingway, Somerset Maugham and Peggy Guggenheim — and emblematic cultural attractions like the Punta della Dogana art museum. 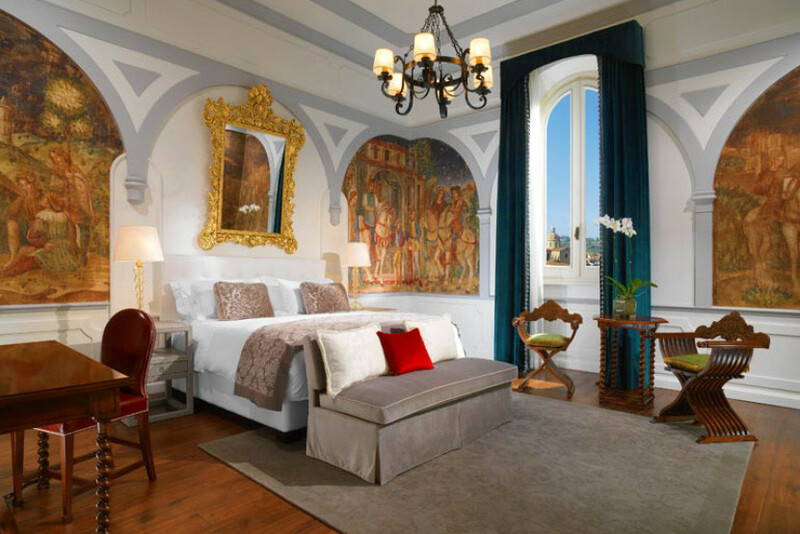 A Premium Deluxe room with an Arno River view at the St. Regis Florence. Image courtesy of Starwood. The St. Regis Florence was originally home to the noble Giuntini family, and it became the Grand Hotel Royal de la Paix in the late 1800s. After a restoration in the 1990s, the structure became the St. Regis Florence in 2011, complete with a Winter Garden dating back to the early 20th century and opulent rooms offering views of the Arno River. Need some more points to stay at some of the properties above? Don’t forget that from now until April 5, 2017, you can earn a sign-up bonus of up to 35,000 Starpoints with the Starwood Amex and the Starwood business Amex. With the personal card, you’ll earn 25,000 Starpoints after spending $3,000 in the first three months, plus another 10,000 points after you spend an additional $2,000 in the first six months. With the business version, you’ll earn 25,000 points after spending $5,000 in the first three months and an extra 10,000 points when you spend another $3,000 in the first six months. Which historic Starwood properties have you visited? 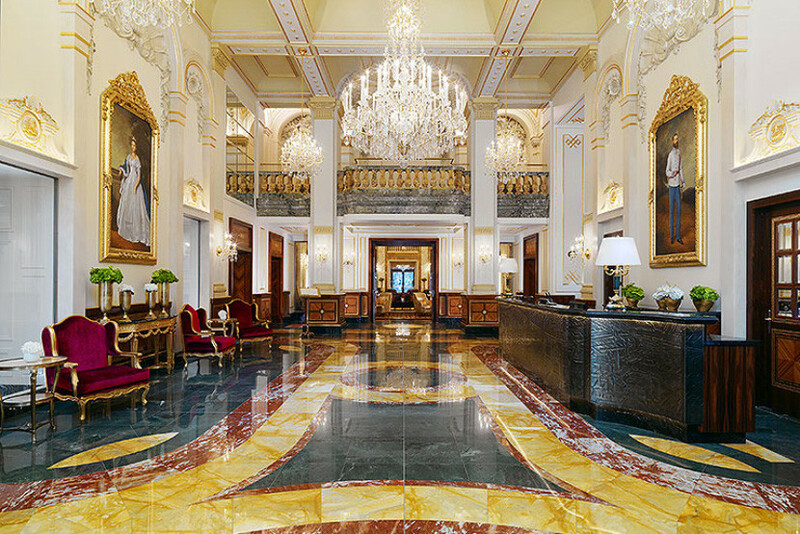 Featured image courtesy of the St. Regis Florence.